It’s a Bird, It’s a Plane, It’s a Ron Paul Action Figure! A Ron Paul super PAC is now selling action figures of the candidate. The super hero will reportedly cut off aide to his allies in the midst of battle, publish villainous newsletters and deny he knew about them, and will come equipped with a special tin-coated head shield. Revolution PAC, a pro-Ron Paul super PAC, deserves creativity points for its latest fundraising idea. Republican presidential candidate Ron Paul’s loyal followers will have one more way to support their favorite politician. Revolution PAC announced Monday that it is selling collectible Paul action figures. 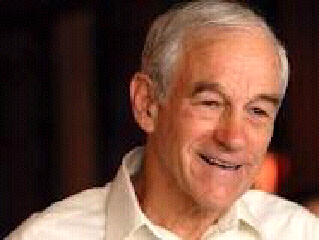 “This is the only way that Ron Paul can be bought,” Revolution PAC chair Gary Franchi said in a press release. Revolution PAC will offer both a “Commander-in-Chief” Paul and a “Super Hero” Paul for sale. “Barack Obama certainly doesn’t have a corner on the action figure market,” Mr. Franchi said. “Ron Paul proved he could go head to head with Obama in the Jones Soda bottle ballots during the 2008 campaign. I’m quite confident that he’ll be competitive in the collectible toy demographic as well,” Mr. Franchi added.